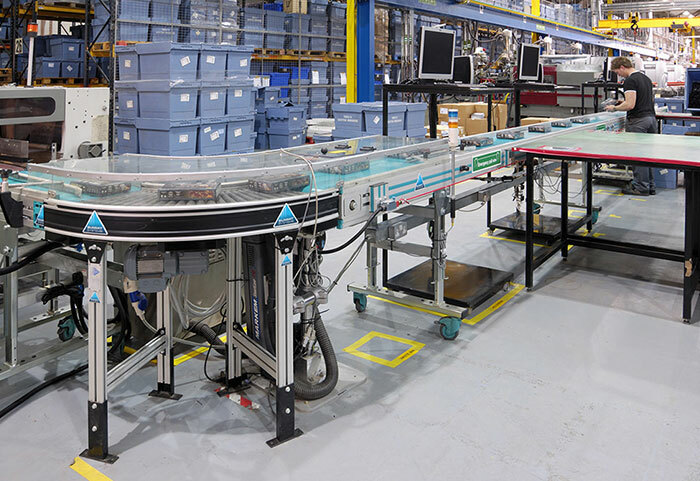 Summit Systems provides a vast array of solutions for movement of products around plastics manufacturing plants. 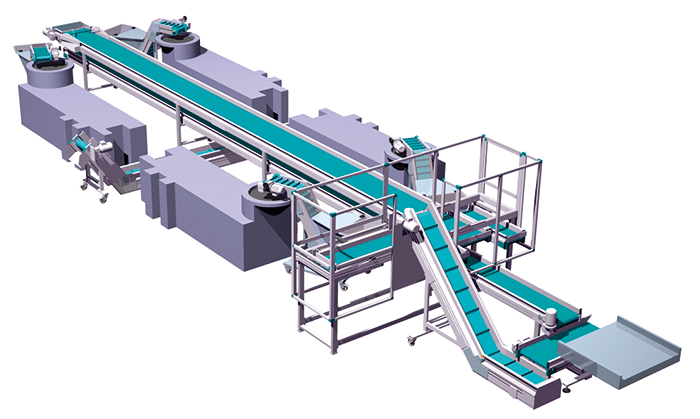 Finish product may be moved away from the machine using varied belt conveyors to suit the application. 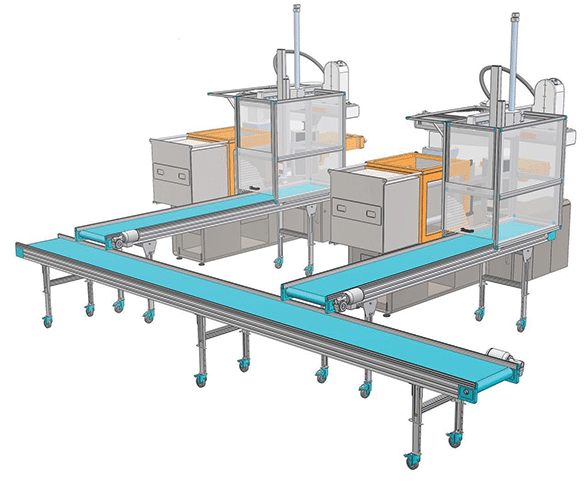 We design and build complete, bespoke conveyor systems from simply connecting several moulding machines to a packing area or an automated counting, weighing and ‘lights out’ boxing system. Cooling tunnels, metal separation etc can all be integrated. Improve quality and efficiency with accuracy. Reduce manual labour and costs. 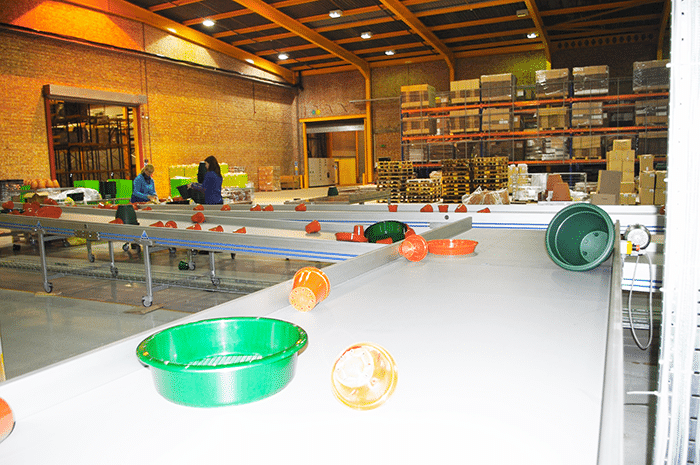 It is possible to receive the incoming product and distribute it to a number of work stations for packaging. Can conform to a F.D.A regulations . PLC option to typically prevent parts colliding, interface alarms, weigh/count and manage box indexing.